24"x24" ideal for 1/8scale Buggy and Truggy. large and heavy enough to setup your favorite vehicle. 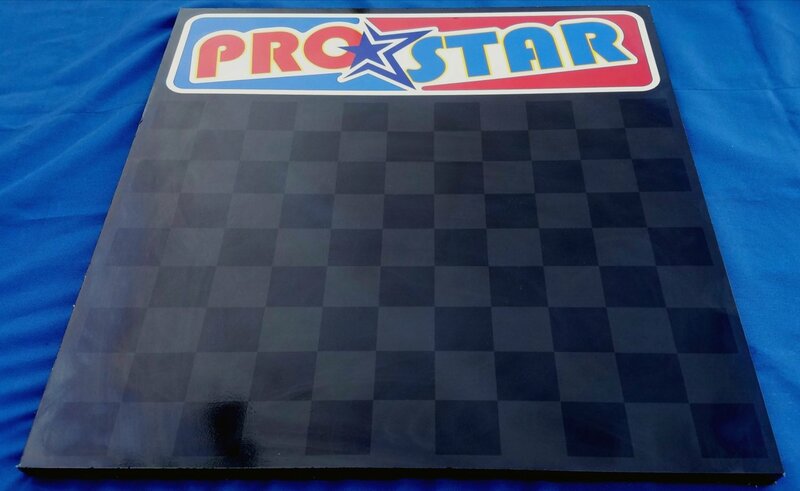 Made of MDF board , laminated with the ProStar logo and grey checker pattern ,overlaid with clear UV resistant vinyl for protection. Edges have durable plastic T-edging. rounded at all 4 corners. and backed with rubber diamond plate. Use Coupon Code "FREEPICKUP" if you live near Los Angeles and want to arrange pickup.